Welcome to our Events page. It’s where you’ll find our calendar of all upcoming events, with descriptions of each one. If you’d like to find out more information about an event that has already taken place, please visit our Past Events page. 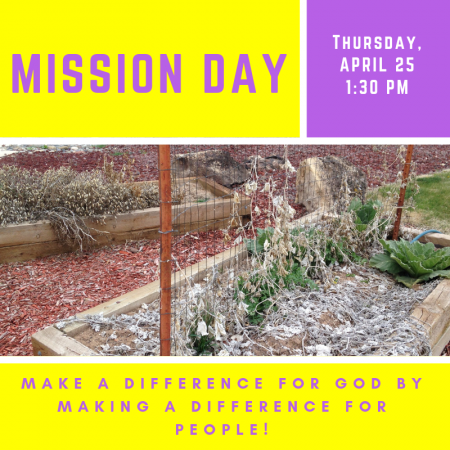 Mission Day for April is Thursday, April 25 @ 1:30pm. We will be assisting God’s efforts to bring new life to the community garden outside the church building! Everyone is welcome! 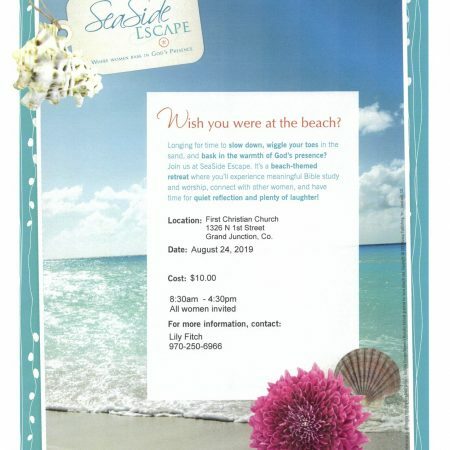 Come for a relaxing, beach-themed retreat day in God’s presence with other women. The retreat will include Bible study, worship, fellowship, and time for quiet reflection. Cost is $10.